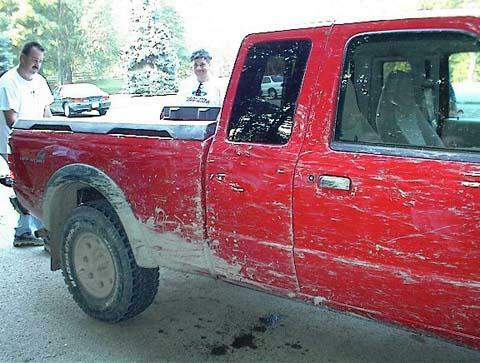 On September 7 2001, The Ranger Station and its members got the opportunity to get a first hand look at the Ford Ranger FX4 that was slated to be introduced later in the fall. 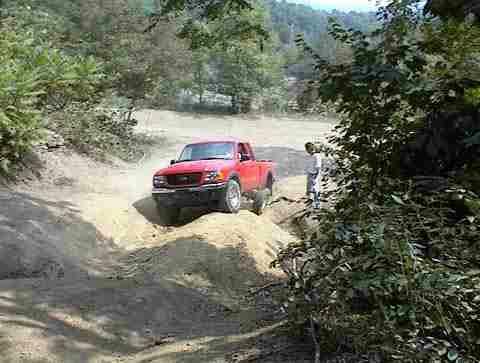 Although you’ll find other Ranger sites that talk about the FX4, we actually got to wheel with it and talk to a couple of the engineers from Ford who are responsible for the Rangers development. How was The Ranger Station so lucky? 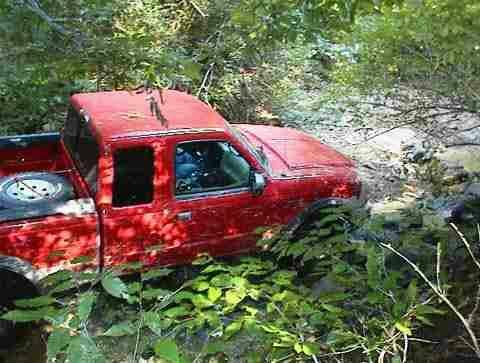 Because Jim Oaks fielded a number of emails asking what modifications off-road Ranger enthusiasts do to their truck. When Ford put together the FX4 Ranger, it was only fitting that they let us see it first. The new FX4 comes complete with the equipment serious off-roaders will recognize — Bilstein shocks, Torsen Limited Slip Differential, 31×10.5 BF Goodrich All Terrain T/A KO tires, tow hooks and a full compliment of steel skid plates to protect the front suspension /differential, transfer case and highly vulnerable fuel tank. It even comes with a manual transfer case! 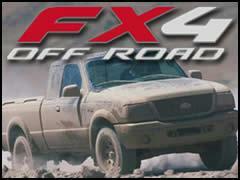 For power the FX4 features a 4.0L SOHC V6 under the hood feeding 207 HP and 238 ft. lbs. of torque to your choice of a 5-speed manual or an automatic overdrive transmissions backed by a 31-spline 8.8 rear axle and 4.10 gears. 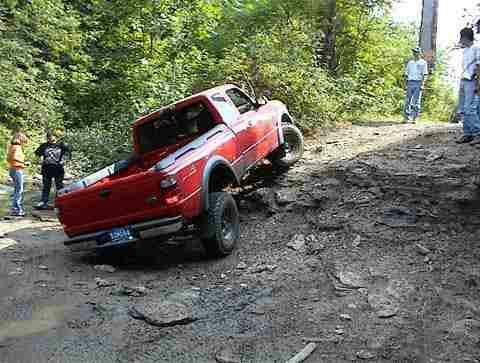 The Ford engineers didn’t baby the FX4 on the trail either. You can’t really tell in the pictured linked to above lower right, but the FX4 went back to Detroit with some body damage. The Ford guys are watching and listening to see what the customer wants in a truck. More importantly, they’re hitting the trail and seeing how their trucks are being used and what improvements need to be made.